For some, it’s daffodils or tulips. For others, it’s green beer and corned beef. 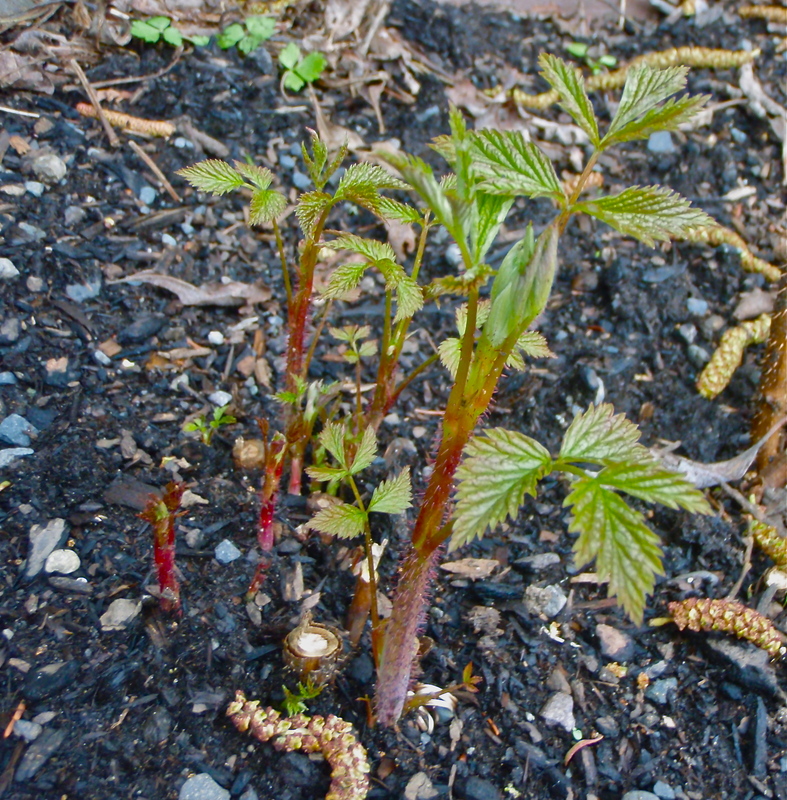 But for me, spring starts when the first raspberry shoots push up through the ground, alders drop their pollen pods, and a chorus of frogs fills the woods at night. In which case, even though the calendar doesn’t agree quite yet, spring has arrived. This picture shows the raspberries and alder pods in one shot. It’s always amazing to me that these little shoots will somehow grow seven feet, mature and produce fruit all in the next few months. The alder is my bane, causing itchy eyes and sneezing, but I know it won’t last long. And the miracle of modern allergy medication makes it tolerable. Now, if the Columbia spring chinook will start running–they’re late this year–and I can find time to get after them, we’ll really be able to celebrate the season in style. My mouth waters just thinking about springers. I better get back to work now, so if and when the fish show up, I’m good to go.